Realtor Nina O’Kelley has lived in Colorado since 1972 in Boulder, Denver, and the Vail area. She is an expert in both real-estate and the locale. 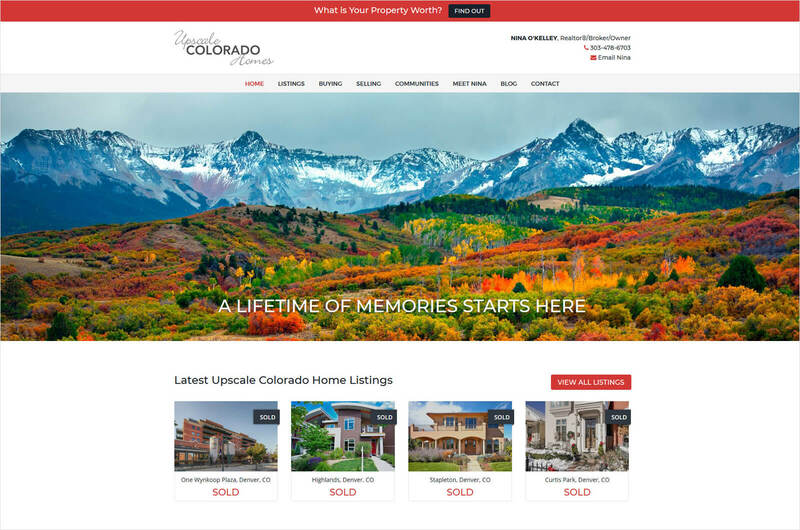 Her website provides information about listings, advice for buyers and sellers, as well as a treasure trove of information about the communities she knows so well. This modern site shows the essence of Nina’s aesthetics, her commitment to her clients, and her passion for Colorado. The featured artwork is by her favorite local artist, Barbara Froula.